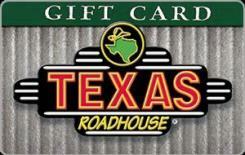 Texas Roadhouse® opened its doors in 1993. In just 21 years, the company has grown to more than 420+ locations in 49 states. Texas Roadhouse® is famous for its hand-cut steaks, fall-off-the-bone ribs, made-from-scratch sides, and fresh-baked bread. In 2008 Texas Roadhouse was Ranked #42 on the Forbes list of Best Small companies and in 2009 Ranked as the #2 Most Recommended Casual Dining Chain in a study called the Recommendation Index, developed by marketing firms Zocalo Group and MARC Research. In 2012, Texas Roadhouse was named #1 Steakhouse in Nation’s Restaurant News by Consumers' Pick Survey. In 2013, Texas Roadhouse was named Top 50 Places to work by Glassdoor.